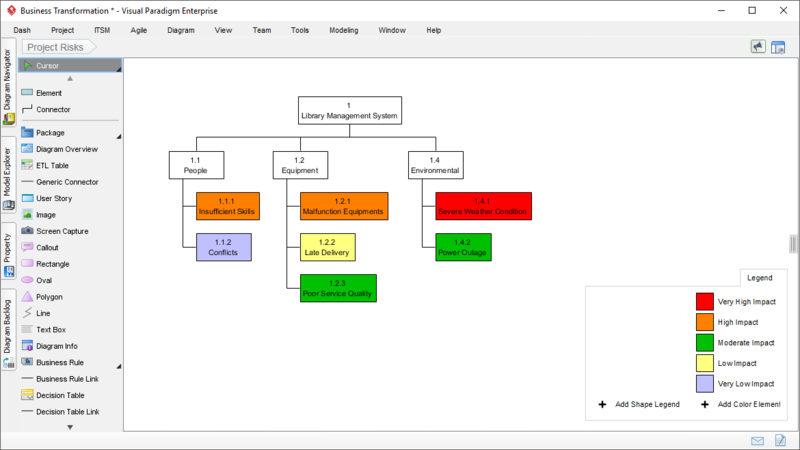 Create any kind of breakdown structure easily and quickly. 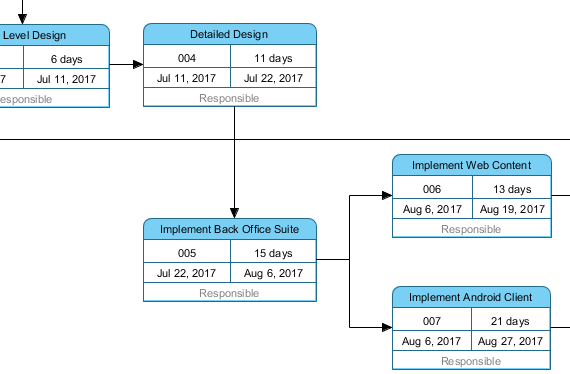 Work Breakdown Structure (WBS) is a hierarchical decomposition of the total scope of work to be carried out by the project team to accomplish the project objectives and to create the required deliverables. 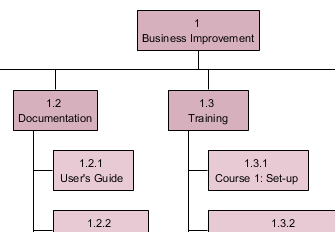 In addition to WBS, perhaps, some other problems can also be represented by the same breakdown structure, such as Resource Breakdown Structure, Solution Breakdown Structure and Requirement Breakdown Structure. 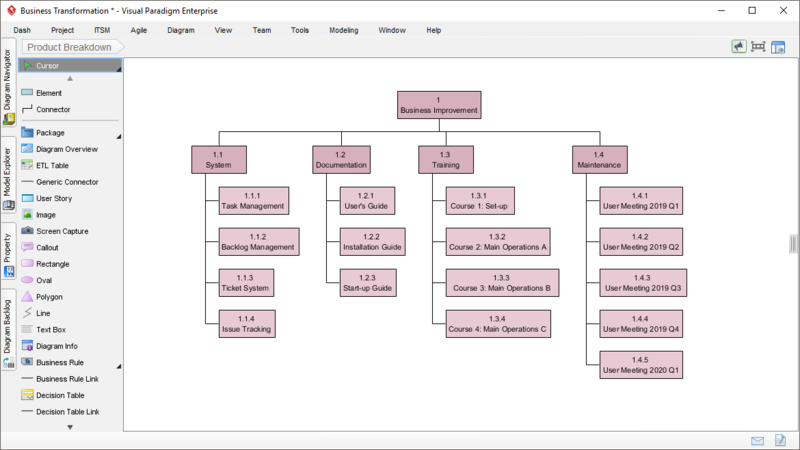 We simply call it "Breakdown Structure Diagram" for modeling all these variants of breakdown structure diagrams. 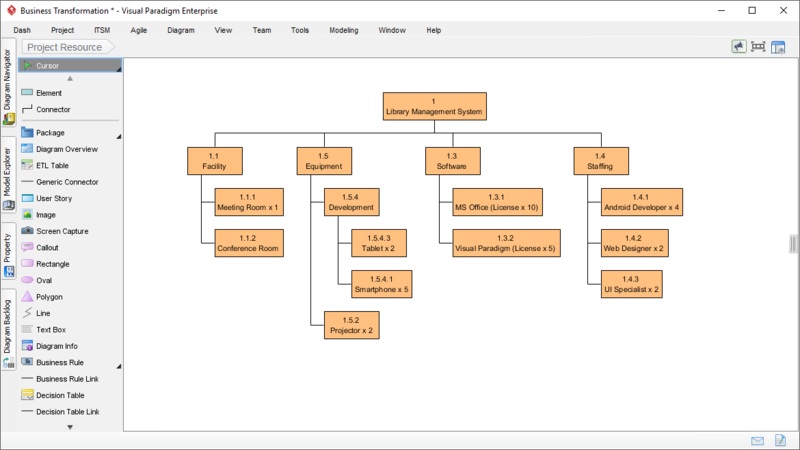 A hierarchical decomposition of resources, either structured by resource category, types or by IT/business function that has resource needs. 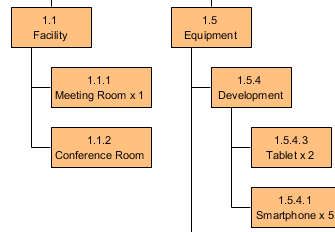 A structure chart that shows the product(s) to be delivered in a project, grouped by product type (e.g. IT system, document, training, etc). 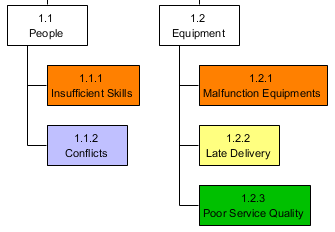 Hierarchical decomposition of risks, starting from the root node, and going down to the various risk categories, and then finer level risks. 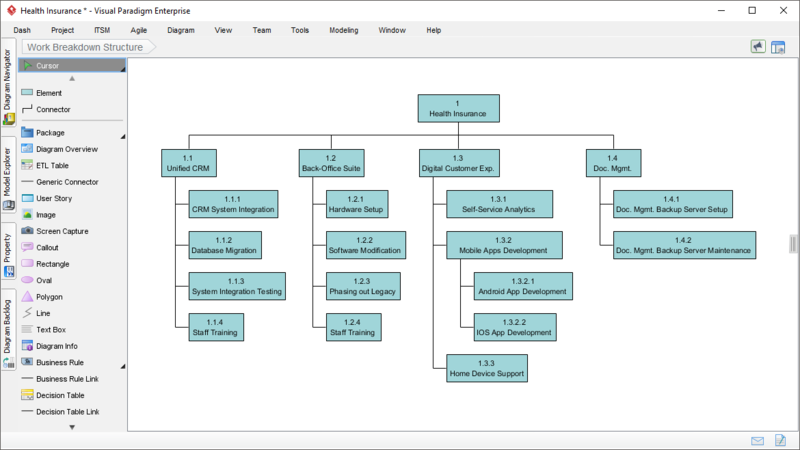 Once you have developed a work breakdown structure, you can generate a PERT chart from the work packages in the diagram. 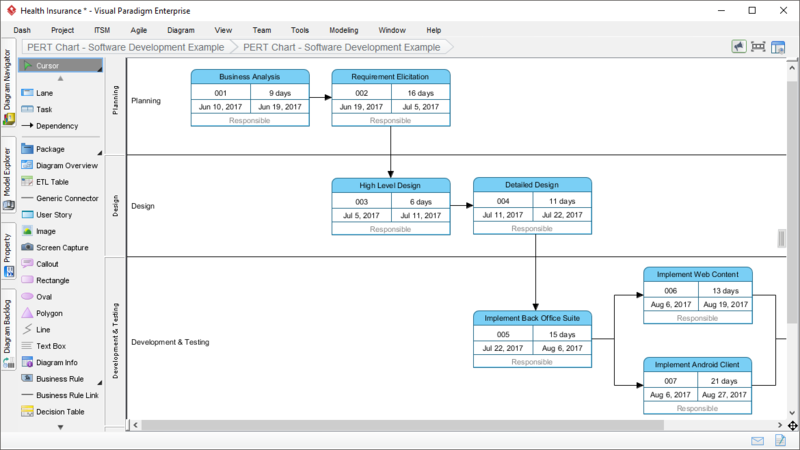 By adjusting the planning start and end date of the tasks in PERT chart, you can further generate the tasks to Tasifier to manage the implementation of the planned tasks.